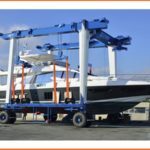 Marine Travel Lift For Sale Is High Quality Travel Lift! 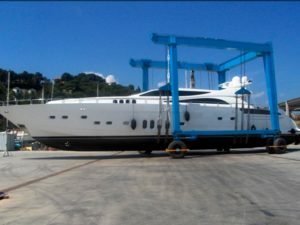 It Has Low Price, Large Loading Capacity, Great Choice For Boat! 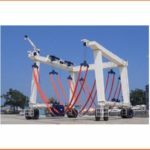 Marine travel lift for sale is kind of customized gantry crane. 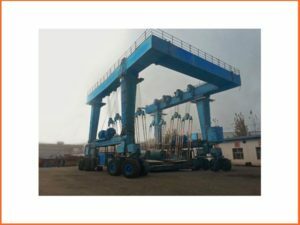 With simple structure, it mainly includes main structure, travelling wheel block, hoisting mechanism, steering mechanism, hydraulic transmission system, electric control system. 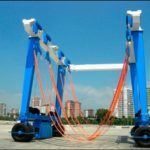 It has reasonable design, the main structure for the “U” type, it can transfer the boat winch the height surpass its height. 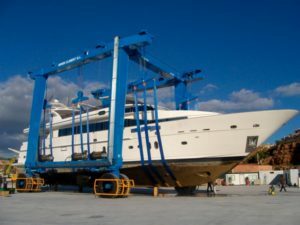 Ellsen Group, a professional travel lift gantry crane supplier, provides top quality boat hoists for sale! 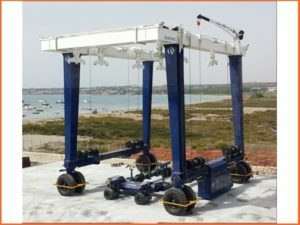 With reliable quality, easy installation, safe operation and factory price, Ellsen marine travel lift for sale has been exported to many countries and regions, and have won high praise from customers. 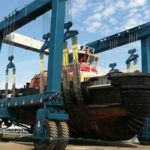 Ellsen provides customized service! 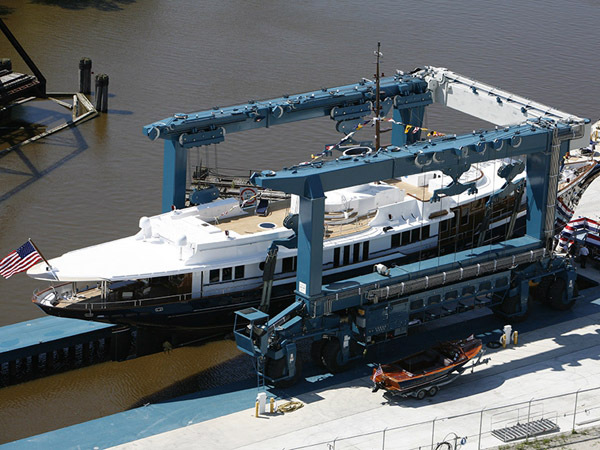 Ellsen designs and produces marine travel lifts according to practical needs and requirements! 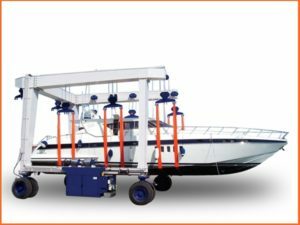 Marine travel lift is mainly used for fish port, transporting boat, lifting and maintaining boat. 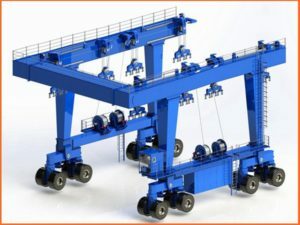 This kind of gantry crane has large capacity, it can handle different tons boat (10t-1200t) from the shore side. 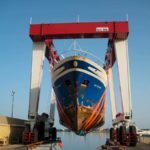 It can be used for the maintenance on the shore side or can put new boat inside the water. 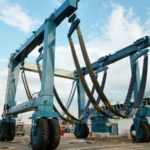 For convenience, the lifting points are adjustable, many points can be lifted at the same time. 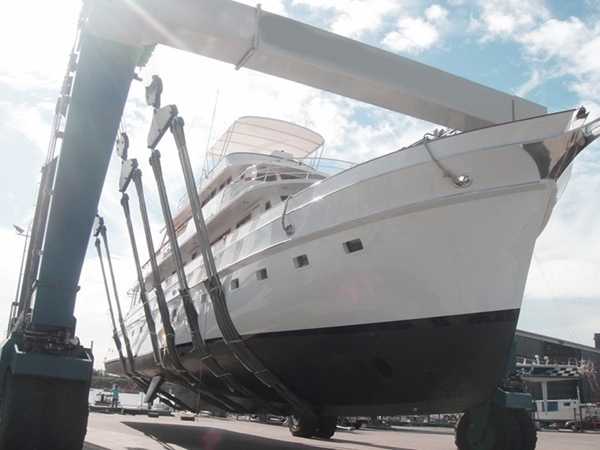 For safety, boat lift adopts the soft and firm belt to lift the boat, yacht; it will never hurt the surface. 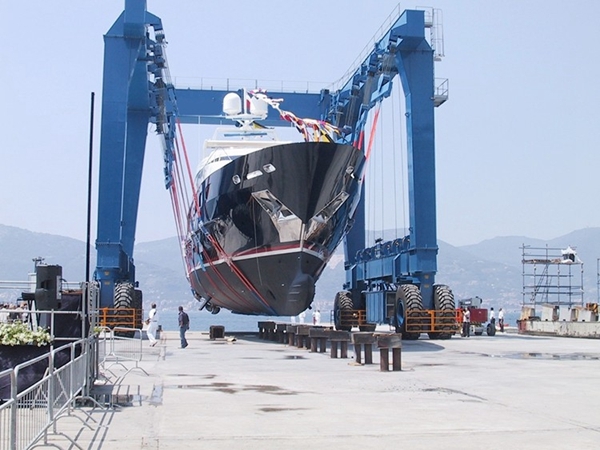 For efficiency, it can put the boat in sequence quickly with small gap between each two boat. For power, it is powered by its own diesel generator, the whole system is hydraulic driven. 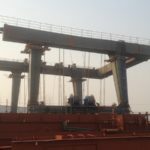 For design, the main beam and end beam are connected by hinge form, which eliminate the partial stress due to bad load condition.